The trio say that they have two divorces and two ex-husbands between them. NASHVILLE, Tenn. — The Pistol Annies’ sassy new song about reclaiming singlehood called “Got My Name Changed Back” has raised some eyebrows for its lyrics about a husband who cheats while on the road and prompted speculation about who might have inspired it. The trio of Miranda Lambert, Angaleena Presley and Ashley Monroe won’t say, but Presley notes that there are two divorces and two ex-husbands between them. The women tackle failed marriages, desperate wives, female friendships and complicated women with a lot of wry humor and just the right amount of sadness on their first album in five years called “Interstate Gospel,” out on Friday. They wrote the record together without any outside writers, which has mostly been their pattern. 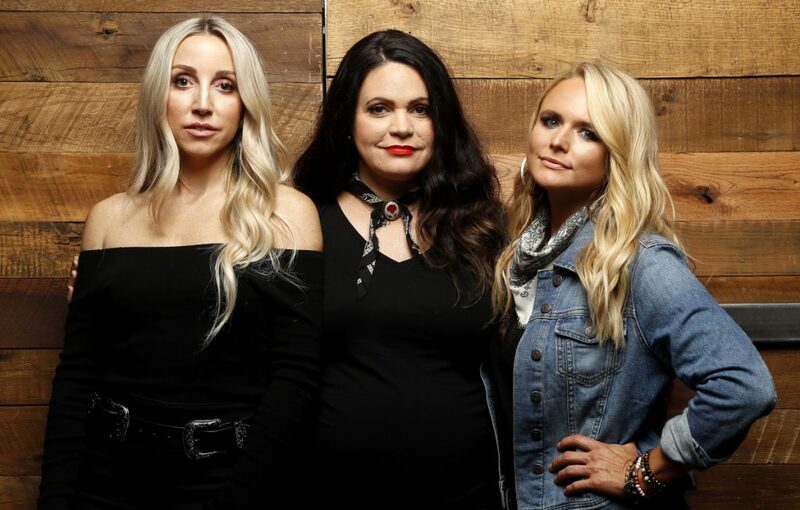 “We haven’t written any songs with other writers,” Lambert said, but then the other two correct her, noting there was one song on their first album that her ex-husband Blake Shelton co-wrote with them. “Oh well, he’s gone,” Lambert said with a laugh. Lambert came up with a verse and chorus for the regretful tune, “When I Was His Wife,” and sent it to Presley and Monroe in a voice note. Soon after they were hanging out at Lambert’s house churning out songs. “We don’t do per se writing sessions,” Presley said. “We do slumber parties with guitars,” Lambert said. The break between records has been productive for all three singers. Lambert released a critically-acclaimed double album, “The Weight of These Wings,” while Monroe and Presley each released two solo albums over the past five years. “It’s like we have so much life to talk about, we have enough for solo projects and as a band,” Lambert said. “If we all dumped our purses out on the table, it would be ‘Stop Drop and Roll One,”‘ Presley said. A song like “Best Years of My Life” showcases their ability to craft emotionally complex female characters longing for escape from their monotonous lives through a recreational drug or a trashy TV show. “Masterpiece” acknowledges the public fascination with the glossy image of a perfect relationship, even if it’s not real. The trio isn’t doing a tour to promote the album, just three shows in Nashville, New York and Los Angeles, mostly because Presley is pregnant, although they will be performing at the Country Music Association Awards on Nov. 14. “This record feels very special and I feel like when we do an intimate couple of shows, it gives people a chance to live with it on tape and live with it in person and go from there,” Lambert said.